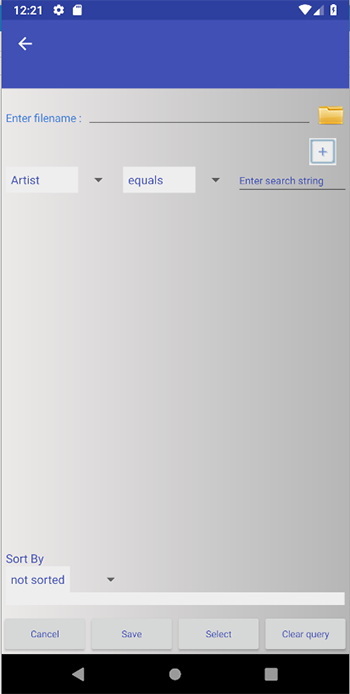 Selecting the Criteria>Smart Playlists option, you have the ability to build your own query from which a new playlist will be created. A selected number of tags are also available by which you can sort. You are presented with several drop down boxes and an input field for the string to search for. The best way to approach the query building is to get clarity on what exactly you want to achieve. add the rule by hitting . You will see the query being built up below. Also note that once you have added one rule, another drop down box becomes visible. This one offers AND and OR. The default is AND. 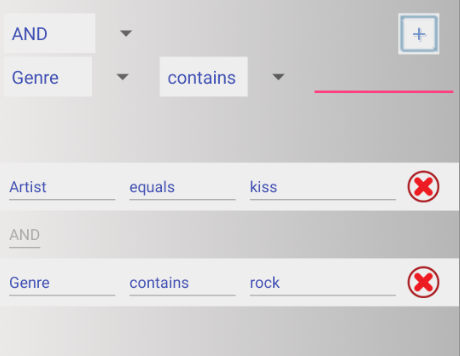 This allows you to build up a sentence with a number of criteria. Here we are asking for a tracks which have Kiss as Artist and genre contains "Rock". So tracks with, for instance, "Classic Rock" as well as "Rock" would be included. Finally, you can add a sort order to the selection. 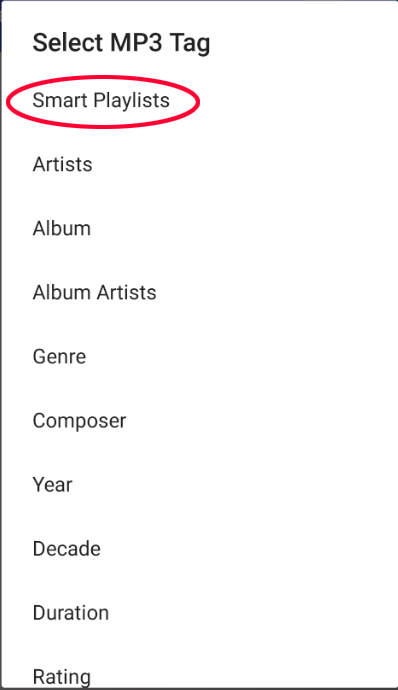 Sort by Track Title for example. Sort columns are simply added by selecting from the Sort By drop down. As with the search text, the selections are built up. Lastly when you are ready to create the new playlist click . If no tracks are found matching the criteria, you will be informed. Editing the query is by removing and adding rules. You are able to save the query by providing a filename and click Save. 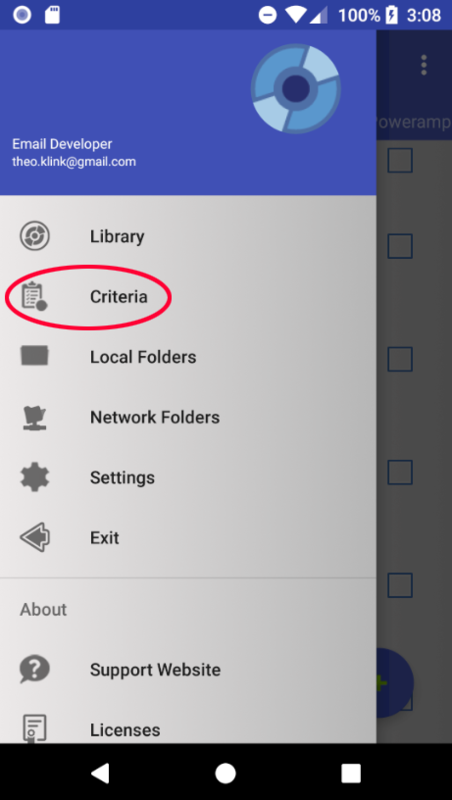 A saved query can easily be loaded by tapping the folder icon. If any saved queries are found, a list will be presented. The queries are text files with a .sql extension, saved in the playlist_manager folder where they can be deleted when no longer required.